Viral Developers is real estate developer located at Rajkot, Gujarat, which is specialized on sales and rentals of high-quality real estate for use as offices, shops, storage or production facilities in Rajkot and its surrounding areas. 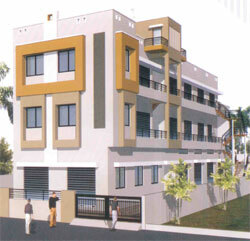 We are expanding our real estate portfolio continuously. Realizing individual and professional services at its highest level is our main focus. Viral group has over 20 years of experience of creating value for customers. Our base is thorough and constantly updated skills and market knowledge acquired through constant market touch. Viral Group is renowned for its status in providing stylish and creative architectural designs that cater to every market. Our design range has proven to reflect market trends and needs while showcasing the latest in interior and exterior design. It is our winning reputation for outstanding quality, value and innovative designs that our success is measured. Our ambition is to remain in the forefront to constantly stay above reast of developments within the property market and the market conditions and there by continue to offer the optimum. Building a culture of excellence in communication, performance, teamwork, innovation and integrity. Maintaining a level of transparency and effective organization that defines all relationships, responsibilities and processes. Functioning efficiently, honestly and fairly at all times. Maintaining value for customers and partners. Viral Group is committed to become one of the most valuable property developers in the region through the integration of world-class architecture, superior engineering practices and unmatched service standards to build top-notch Projects. Our mission is to surpass expectations in every aspect, consistently deliver high quality and constantly improve and innovate to provide value for money to our customers. 150 Ft. Ring Road, Rajkot. MSC Facility for Idea Cellular Ltd.
Shops & Showrooms : 4400 Sq. 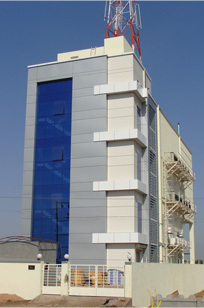 Ft.
Offices : 20000 Sq. Ft.
Hotel : 10000 Sq. Ft. Restaurant : 1600 Sq. Ft.
Offices : 10000 Sq. 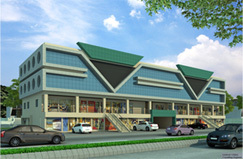 Ft.
Shops & Showrooms : 5500 Sq. 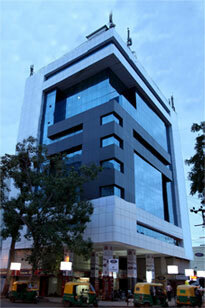 Ft.
Offices : 5500 Sq. Ft.
Industrial Shades : 12000 Sq. Ft.